inc. Punjabi By Nature, The Magnificent Motown Band. + Keep The Faith Events’ DJ Paul Aaaron spinning grooves from around the globe inc. Soul, Funk, Afrobeat, Reggae, Soca, Salsa, Samba, Indo-Fusion, Flamenco and UKSoul + a special Northern Soul set to compliment the Magnificent Motown Band. 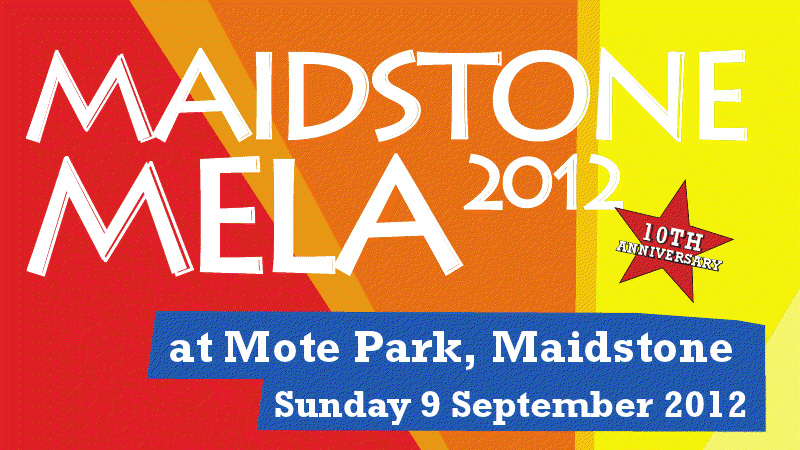 Maidstone Mela celebrates it’s 10th year on Sept 9th 2012.
around the world & community groups. ADDRESS: Mote Park, Mote Avenue, Maidstone, Kent, ME15 7SX.